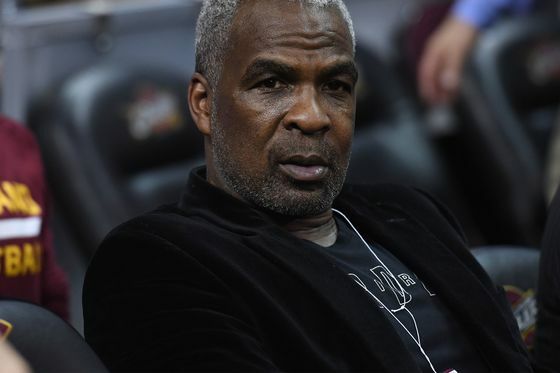 (Bloomberg) -- Musings by former New York Knicks star Charles Oakley that Jeff Bezos may be interested in buying the basketball franchise are helping feed the recent recovery in shares of Madison Square Garden Co. The sports and entertainment company’s stock on Wednesday headed toward its highest closing price in about six months, rising as much as 1.1 percent to $300.81 in New York trading. Oakley, the 55-year-old power forward who dominated the boards during much of his National Basketball Association career, spoke about Bezos in an interview that did a better job of laying out the logic of such a purchase than spelling out whether Amazon.com Inc.’s chief is actually on the prowl for the team. 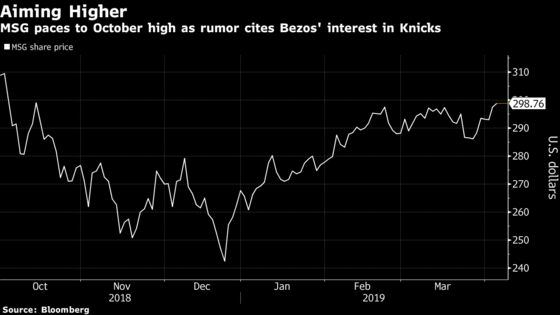 Neither Oakley, Bezos nor MSG could be immediately reached for comment. The Knicks are frequent targets of deal speculation, and it’s often fed by a fan base that sees a change of ownership as a way to boost the long-struggling team. The spinning wheel of chatter has, at times, provided temporary relief for investors -- coupled with MSG’s previous plans to spin off its sports franchises to pursue other strategies. It’s also worth noting Oakley, who’d been ejected from MSG in 2017 after an incident with building security, has been critical of the team’s billionaire owner, James Dolan. The Knicks’ performance has been disappointing, and star players such as Carmelo Anthony, and newer faces like Kristaps Porzingis, have been traded away under Dolan’s leadership. But investors have grown more upbeat this year. The shares have risen about 23 percent since a bottom in December as Dolan has been adamant about diversifying the business to pursue concert and live-entertainment endeavors.